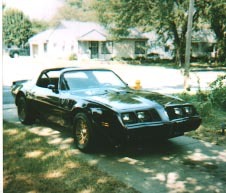 Probably not hard for you to guess that it was Smokey and the Bandit that turned me on to this one. I built a model of this car when I was younger and have just always thought that they personified cool. They're big, solid, fast cars with a mean sounding engine. 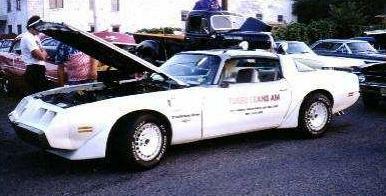 I would have to have it in black, with the gold bird, and it would have to be 100% restored. Thats the only way that I envision this car. Something in tip-top shape would likely run in the neighborhood of $20k. Perhaps a little less if you looked around. 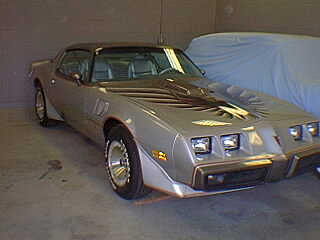 The earlier ones that were out in 77-78 were pretty cool too, and I think it might have been the one used in the original Smokey and the Bandit, with the ones above in the sequel. 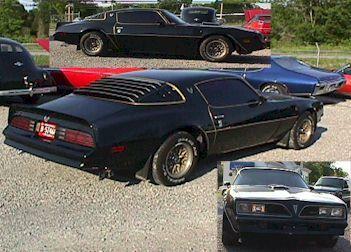 In any case, its the one above that I would rather have, and T-tops are a must.